This was the 4th meeting of the two sides with Chobham currently ahead 2 wins to 1. The fixture was first created between Bali Salisbury and Richard Lamberth as a warm up match for the Royal Navy Medical Services game against the Army Medical Services. Bali played for Chobham 3s, 4s and Crusaders a few years ago before moving away with his job in the Navy. 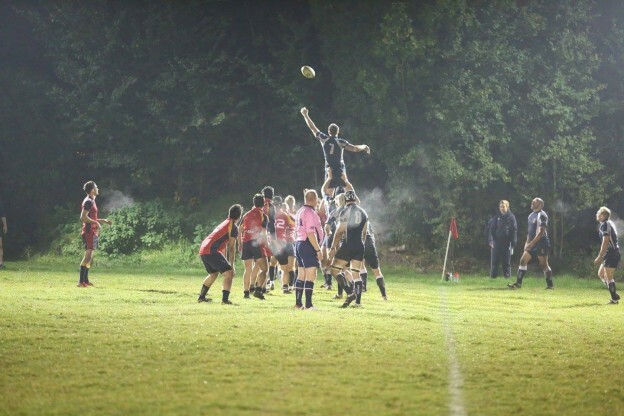 Last year’s game, however was somewhat of a memorial game in memory of a mutual friend and colleague Paul Newman RNMS who also played rugby for Chobham for several years and who died suddenly and unexpectedly last year. We are hoping to keep this fixture alive in honour of Paul’s contribution to both Chobham RFC and The Royal Navy.